Who says you have to stay at a theme park hotel in Orlando? Not us! In fact, many of the best Orlando hotels and resorts for families aren’t on theme park grounds. Instead, these Orlando hotels and resorts are removed from the hustle and bustle of the parks and offer family-friendly appeal by way of spacious accommodations with fully equipped kitchens, pools and water parks, and, when it’s time, transportation to the parks. 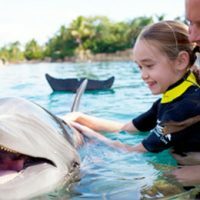 These are the best Orlando resorts and hotels for families. The Hilton Orlando is close enough to Universal Orlando Resort to feel convenient for Muggles, yet far enough away that you can enjoy some serious downtime when you’re ready. This lovely property offers two pools, a splash pad for youngsters, and a lazy river that feels especially relaxing after walking around the parks. It also has six onsite dining options (including room service), and both guestrooms and suites with mini-fridges are available. 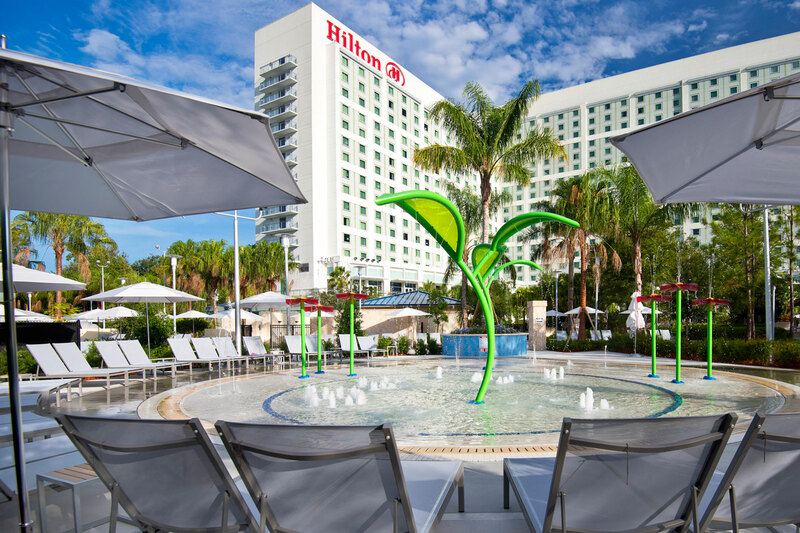 The Hilton Orlando was recently named among the 4 Best Non-Disney Hotels Near Disney World. Just 10 minutes from Disney World, the Hilton Orlando Bonnet Creek offers rooms with views of the nightly fireworks at Epcot, as well as complimentary shuttle service to all of the Disney parks. 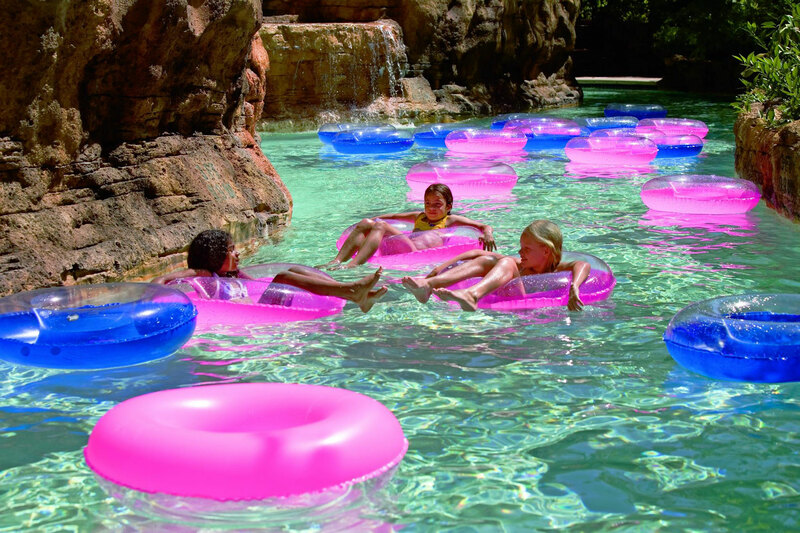 But it’s the water park—with two zero-entry pools, a 3-acre lazy river, waterslides and more—that makes this hotel a great option for families. Plus, there are several restaurants, a kids’ club, spa, and golf course right onsite. One-, two-, three- and four-bedroom family suites with fully equipped kitchens and private balconies, plus shuttle service to Disney World? Sign us up. 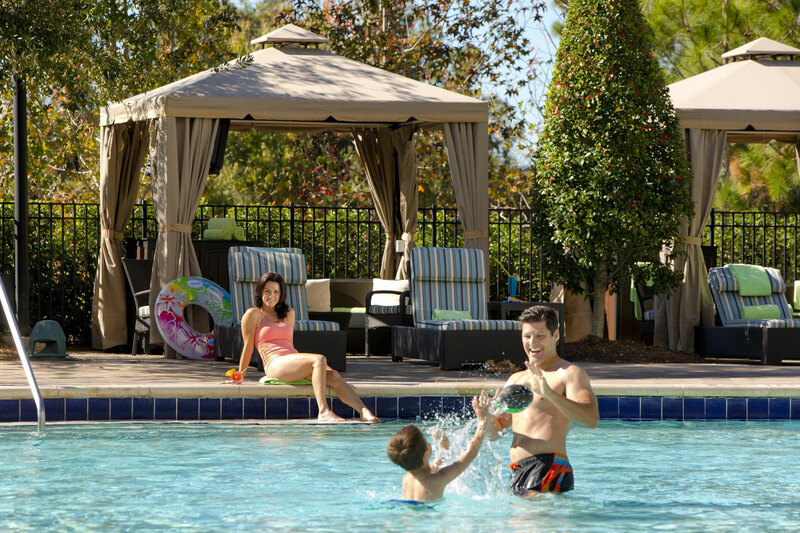 The Wyndham Bonnet Creek Resort was made for families, with other perks including five outdoor pools, two lazy rivers, a playground, game room, and mini-golf. 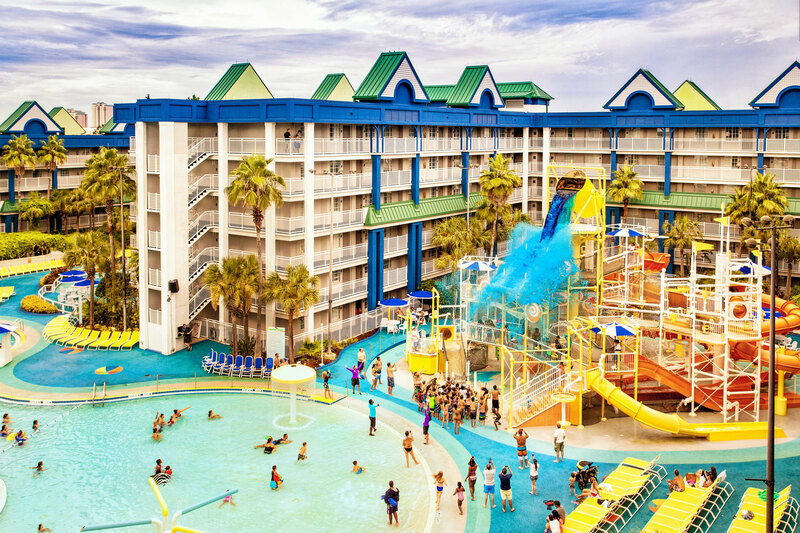 A Family Vacation Critic Favorite Hotel, Floridays Resort Orlando delivers affordable rates for spacious suites with kitchens, a giant swimming pool (with a separate kiddie section), a man-made beach, and a game room. 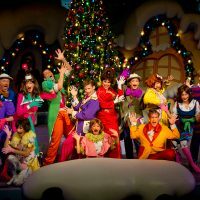 It also provides complimentary shuttle service to Disney World, Universal Orlando Resort, and SeaWorld Orlando. Two- and three-bedroom villas with kitchens, dining rooms, and living rooms provide a home away from home at this popular resort, located a mile from Disney World. 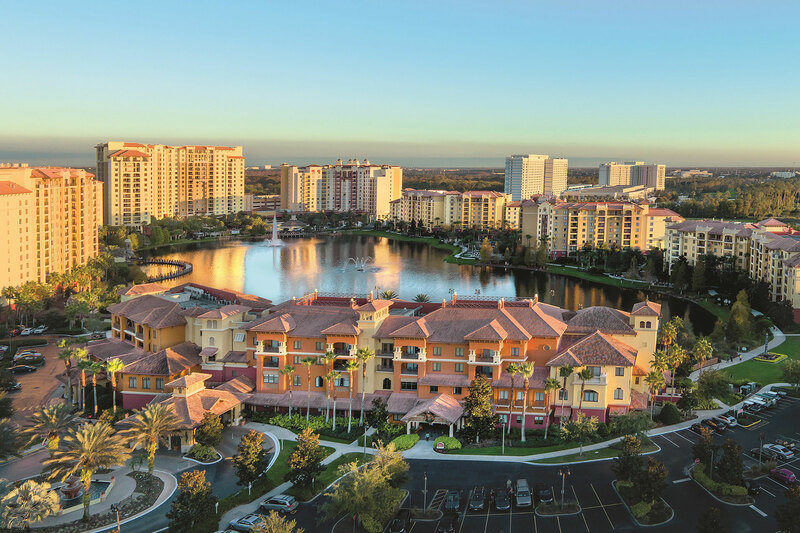 Although WorldQuest Orlando Resort lacks the glitz and glamour of nearby Orlando hotels and resorts, it offers affordable rates for large groups. The swimming pool and complimentary breakfast aren’t too shabby either, nor is the complimentary, scheduled transportation to Disney World. 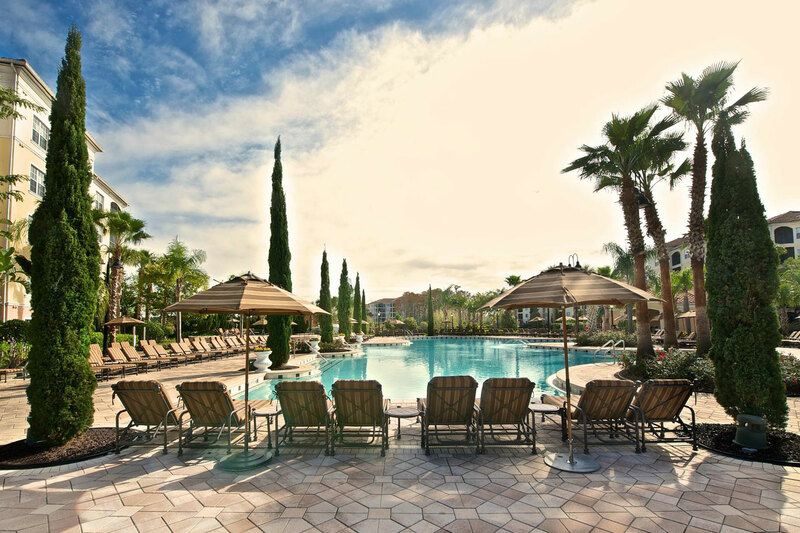 Part of a massive property that includes the Ritz-Carlton Grande Lakes, JW Marriott Orlando Grande Lakes offers nearly 1,000 rooms, a plethora of family-friendly restaurants, and one of the best pool complexes in Orlando—it’s 24,000 square feet in size! The hotel provides complimentary transportation to Universal Orlando Resort, too. Guests at Embassy Suites Orlando – Lake Buena Vista enjoy complimentary transportation to Epcot, plus free cooked-to-order breakfast and Wi-Fi. 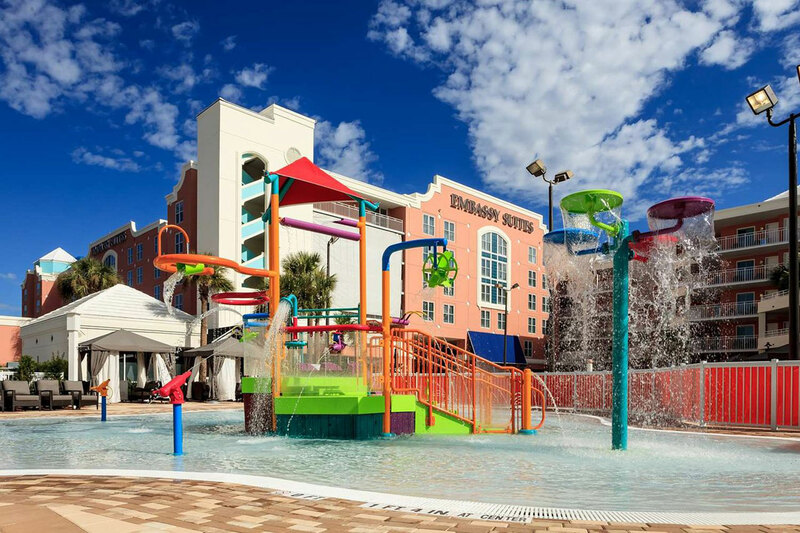 The all-suite resort, which was renovated in 2014, also offers full kitchens for added savings, plus outdoor pools, a kids’ splash pad, and dive-in movies. The Grove Resort Orlando is completely removed from the theme parks—which is exactly why we love it. After (or instead of) a day at the parks, retreat to the hotel’s Surfari Water Park and/or The Springs Pools for a swim, play a game or two at the Family Fun Center, or drop a line in the onsite lake. You might also like to enjoy a family dinner at one of the onsite restaurants or in the comfort of your suite’s fully equipped kitchen. Shuttle service to a nearby Disney Transportation Service is available. 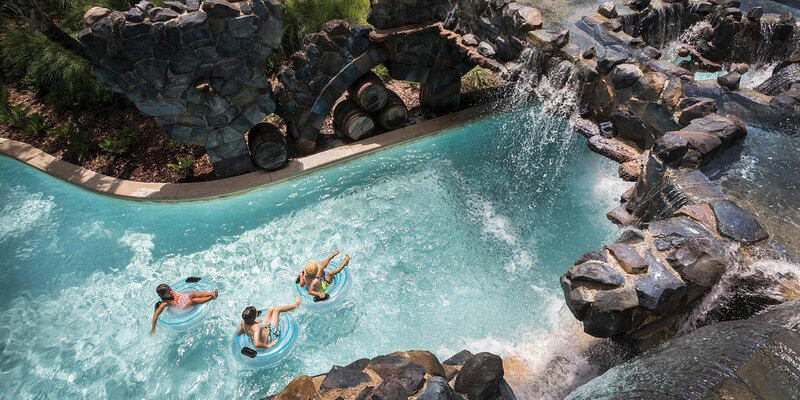 Fun Fact: The Grove Resort Orlando has been featured in 10 Best Florida Resorts With Water Parks. 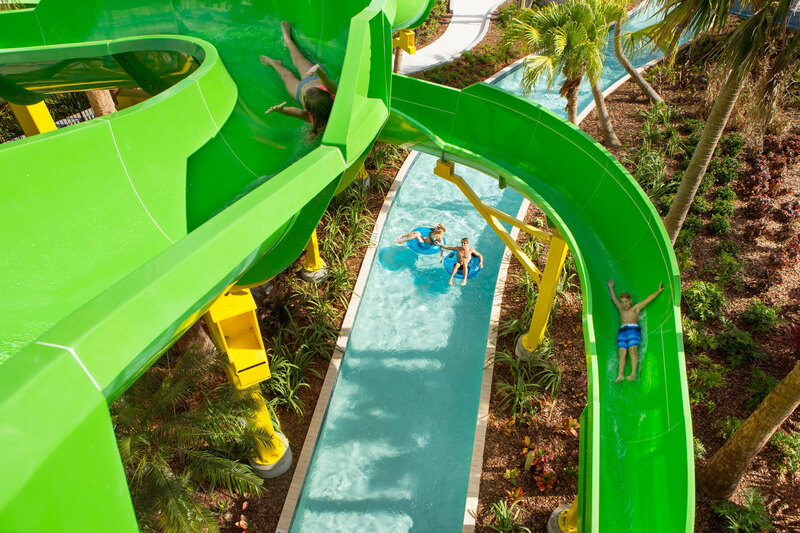 Formerly the Nickelodeon Suites Resort, the Holiday Inn Resort Orlando Suites – Waterpark features a 20,000-square-foot water complex complete with dump buckets, water sprayers, slides and cabana rentals. It also has a 4D movie theater and a Batman Laser Challenge. This Orlando hotel, located just 1 mile from Disney World, also features two- or three-bedroom suites with kitchenettes or full kitchens. You can’t get much closer to Universal Orlando Resort (unless you stay at a resort hotel) than The Point Hotel & Suites, which is within walking distance of the parks. 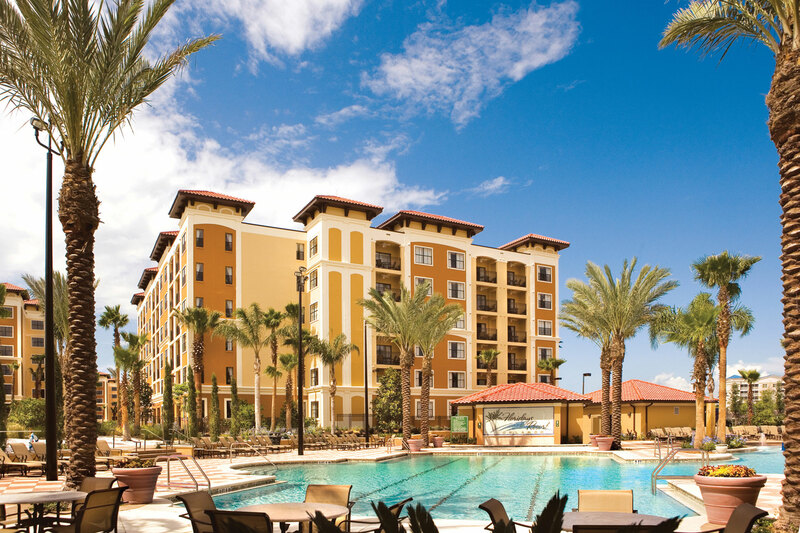 The hotel also offers scheduled shuttle services to Disney World, along with onsite dining options, an outdoor pool, and family suites that sleep up to eight guests. 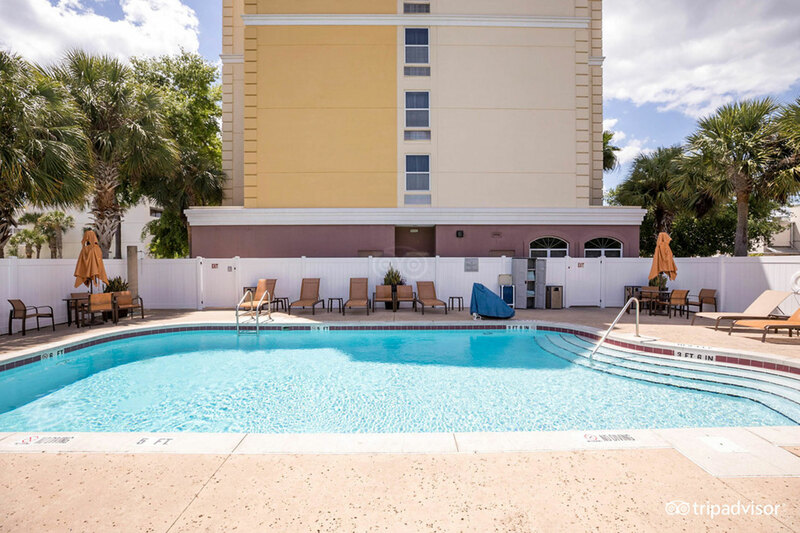 The Fairfield Inn and Suites Orlando Lake Buena Vista offers affordable accommodations just 1 mile from Disney World, and is within close proximity of Universal Orlando Resort and SeaWorld Orlando. A Walt Disney World Good Neighbor Hotel, it also offers complimentary breakfast, a food court, and swimming pools, which include a kids’ splash zone. 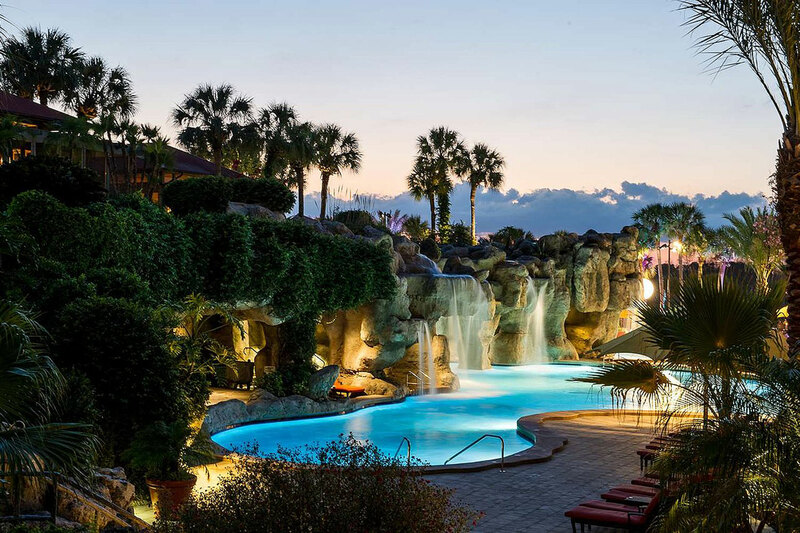 The luxurious Hyatt Regency Grand Cypress features a sandy beach on Lake Buena Vista, Jack Nicklaus golf course, children’s activities, and a lazy river that weaves through cave-like features and waterfalls. And, because it’s a Walt Disney World Resort Great Neighbor Hotel, guests enjoy shuttle service to the Disney parks. Many guestrooms and suites have balconies with views of the lake. 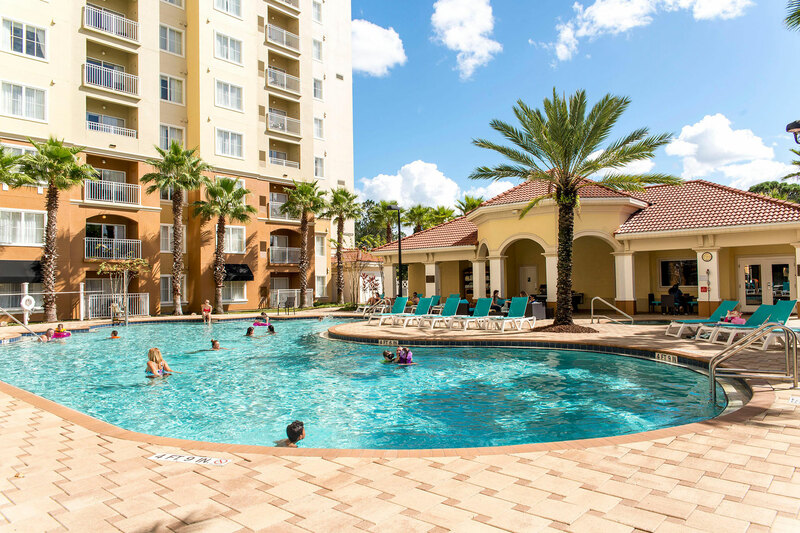 The Sheraton Vistana Villages is an excellent Orlando resort for families, with spacious villas in which families can spread out and feel at home. Villas are equipped with full kitchens and in many cases, private patios or balconies. 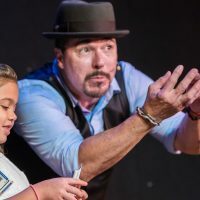 The property, located close to all of the attractions on I-Drive, features four pools (one with a pirate ship), tennis courts, and several casual dining options. Looking for over-the-top luxury in Disney World? You’ll find it at the Four Seasons Resort Orlando at Walt Disney World. Just be careful—there’s so much to do at this resort, you may never make it to the theme parks! 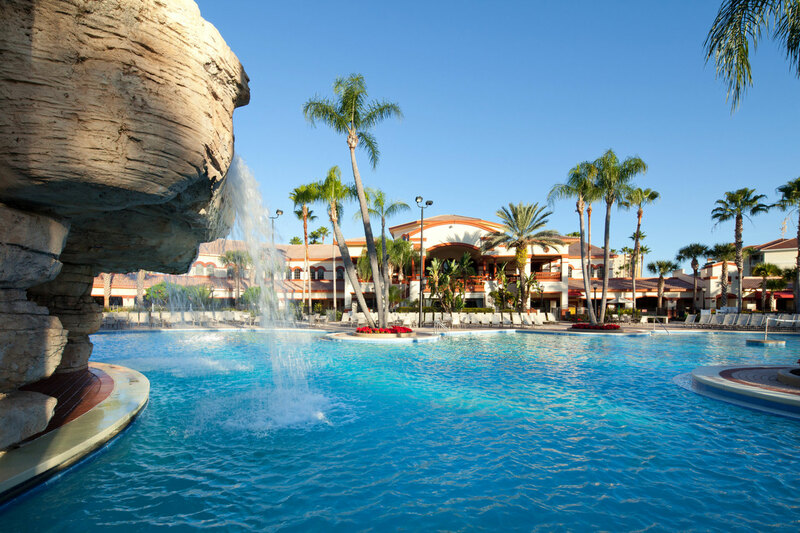 The expansive property, opened in 2014, touts a 5-acre water park, complete with waterslides and a lazy river, plus kids’ clubs, five onsite restaurants, a spa and more! Guests also receive early park entry and complimentary transportation to the parks, and can enjoy character breakfasts right at the hotel. 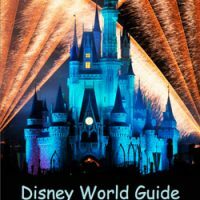 Considering a Disney World Resort Hotel for your visit to Orlando? Check out the 10 Best Disney World Resort Hotels for Families.